Michel was produced before a Delhi court which allowed his five-day custodial interrogation by the CBI. 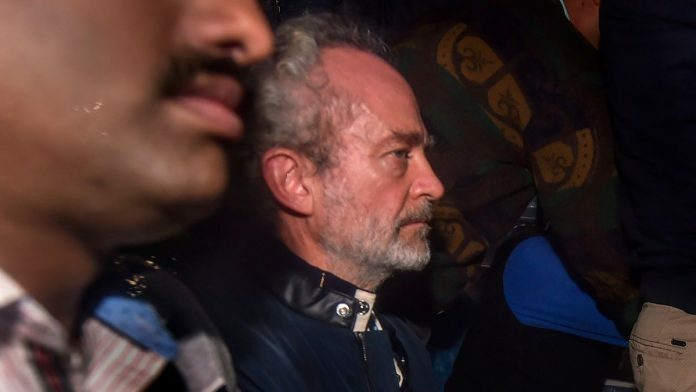 New Delhi: Christian Michel, the alleged middleman who has been chargesheeted in the Rs 3,600-crore AgustaWestland VVIP chopper deal, was Wednesday produced before a Delhi court which allowed his five-day custodial interrogation by the CBI. He will again be produced in the court on 10 December. The CBI has alleged there was an estimated loss of Euro 398.21 million (approximately Rs 2,666 crore) to the exchequer in the deal that was signed on 8 February, 2010 for the supply of VVIP choppers worth Euro 556.262 million. On 1 January, 2014, India scrapped the contract with Italy-based Finmeccanica’s British subsidiary AgustaWestland for supplying 12 AW-101 VVIP choppers to the IAF over alleged breach of contractual obligations and charges of paying kickbacks to the tune of Rs 423 crore by it for securing the deal. The CBI on 1 September 2017, had filed a charge sheet in the case in which Michel was named as one of the accused. Former IAF Chief S.P. Tyagi was also chargesheeted by the CBI in a Delhi Court along with nine others in connection with a bribery case in the VVIP chopper deal. Besides him, the agency has also chargesheeted retired Air Marshal J.S. Gujral along with eight others, including five foreign nationals, in the charge sheet filed before the Special CBI Judge.